Registration for competitive teams can be completed online using the GotSoccer registration page. A copy of an email showing that the NTSSA background check has been “accepted” for each coach, manager, and assistant coach. Once these items have been dropped of the registrar will complete the registration and email you when you packet is ready to pick up. This packet will include an invoice. The invoice is due when the packet is picked up. For Mansfield field and game information, Join our mobile weather alerts via text. 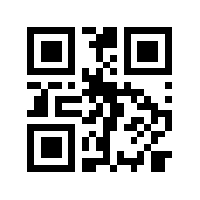 Scan the QR code below, or send a text to 84483 with subject "MANSFIELDSA"